Metro Ford can help you maintain the value of your vehicles over time with a selection of comprehensive protection packages that cover all of the essential components of your vehicle. From Interior Protection to front-line Rust Prevention, we’ll help you keep your Ford looking as good as it did the day your drove it off the showroom floor. The harsh Canadian climate can do a number of your vehicle, but our Vehicle Protection Packages for Port Coquitlam, BC will defend against it. Spills happen to everyone, and while most can be easy to clean up, there are the occasional tougher messes that could otherwise stick with your vehicle for its entire lifetime. But with our Fabric Protection Package, you have solid protection from staining. 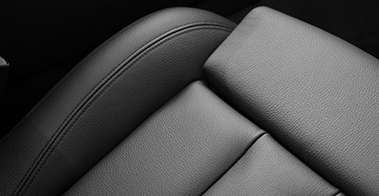 Our treatment gets down deep into your upholstery to help repel spills and stains, making them easy to wipe up. The fabric itself isn’t harmed by this treatment, and no odour is left behind. And as for our Leather/Vinyl Protection Package, it conditions, locks in essential oils, and protects against cracking and colour fading. Glare and dust are reduced significantly as well! 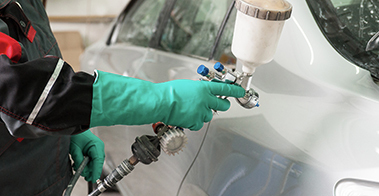 There are indeed many environmental factors that can cause your paint to fade over time, including ultraviolet radiation from the sun, as well as salt and debris from the road. 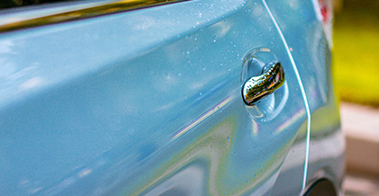 Our paint sealant services will completely seal your paint surface with a smooth, durable finish, protecting your vehicle against the harshest conditions. It’s worth the investment, as it will not only preserve the look of your vehicle, it will also give it a beautiful, smooth sheen so you won’t need to wax. And on top of this, it will also help to maintain your vehicle’s resale value over time. Rust is like a virus. Once it takes hold, it can be difficult to keep it from spreading and rapidly reducing both the integrity and value of your vehicle. 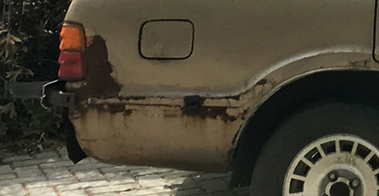 Rust can be worsened by dirt and moisture that gets into the nooks and crannies of the body of your vehicle. Our Rust Inhibitor Spray Protection will seal your vehicle’s metal surfaces and stop rust from the inside out. This is a simple one-time application. Our Corrosion Control Module service is a fresh approach to solving the issue of rust by reducing the oxidation of metal. The roof and inseams are also protected. Over time, salt, rocks and other road debris will chip away at the metal of your undercarriage, and this means rust and damage. Undercoating not only helps to protect vulnerable areas of your car, it also protects the high-impact areas of your undercarriage to give you the added bonus of a quieter drive. Contact our Service Department to learn more about our Vehicle Protection Packages for Port Coquitlam, BC or to arrange an appointment with us. Or should you prefer, you can simply fill out the form below and we’ll get you set up in next to no time.